A Hands-On, Student-Friendly Approach to Human Physiology Human Physiology is a comprehensive text designed to provide students with in-depth knowledge and appreciation of the fundamentals of human physiology. Each chapter of this innovative text integrates real-world case studies that allow students to exercise new skills. In addition, two continuing clinical case studies threaded throughout the text support students in understanding the ways in which physiological systems are affected by clinical conditions. The text's structure encourages students to think in terms of larger structures and mechanisms, develop critical-thinking skills, apply knowledge, and synthesize information, rather than simply memorize facts. 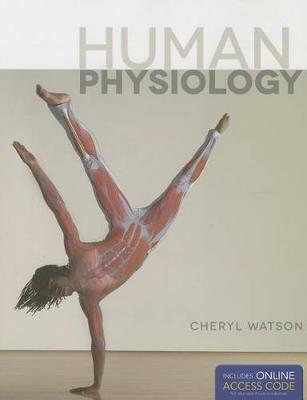 Thorough enough to give students a strong grounding in physiological concepts, but accessible and learner-friendly enough for an introductory text, Human Physiology is ideally suited for single-semester human physiology courses. The text grounds students in cellular communication, the autonomic nervous system, and the endocrine system, giving readers the necessary knowledge base on which to build a critical approach to new and unfamiliar problems. Each chapter pushes students to integrate new knowledge into what they have already learned, increasing learner confidence and concept retention. By helping students master the fundamental physiological mechanisms known today, Human Physiology equips them with the skills to integrate the physiological processes that will be discovered in the future.